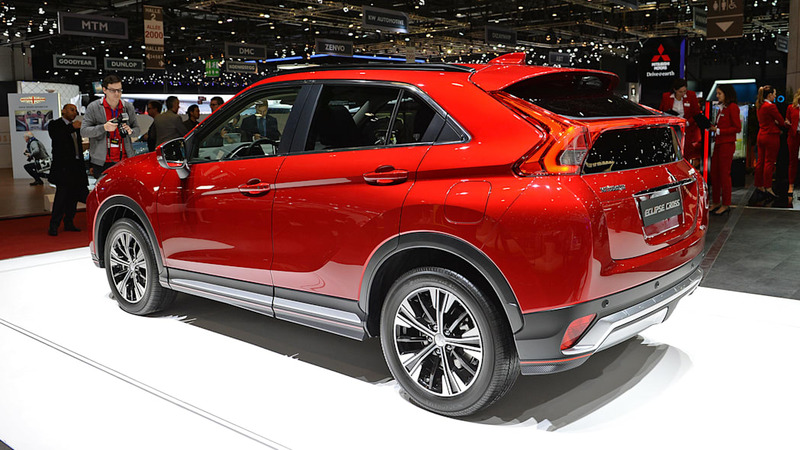 Standard all-wheel drive joins a 1.5-liter turbo engine. 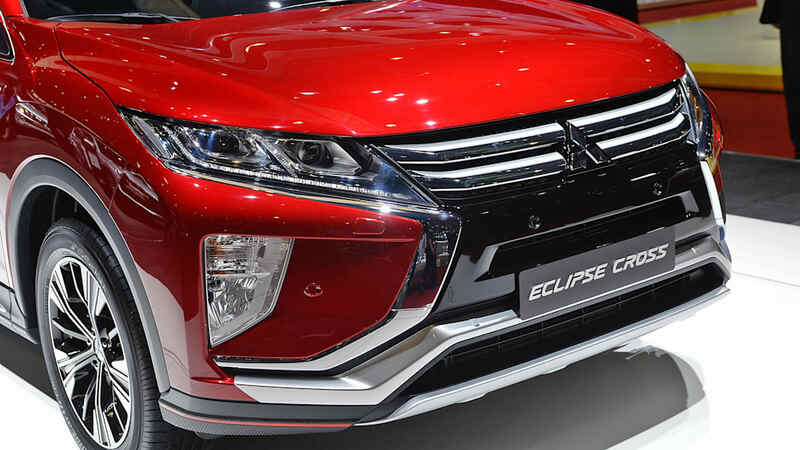 Here it is, Mitsubishi's latest effort to take a piece of the CUV pie, the Eclipse Cross. 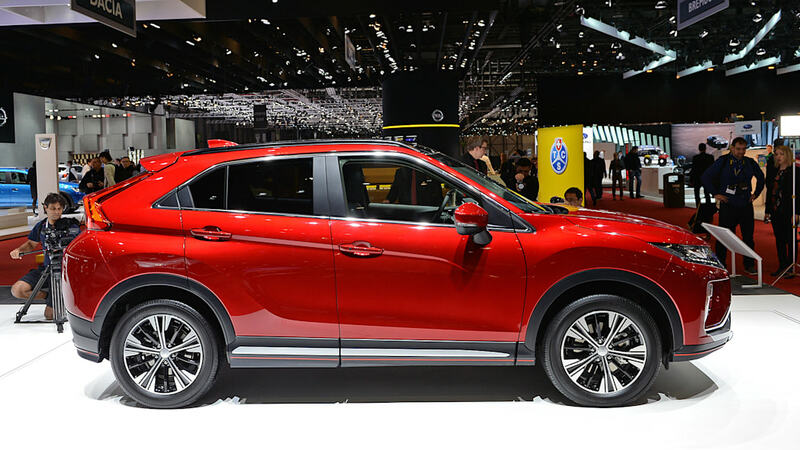 The crossover makes its official debut at the Geneva Show, and it looks just aggressive enough to be unique, but not so strange that it will scare away the average buyer. 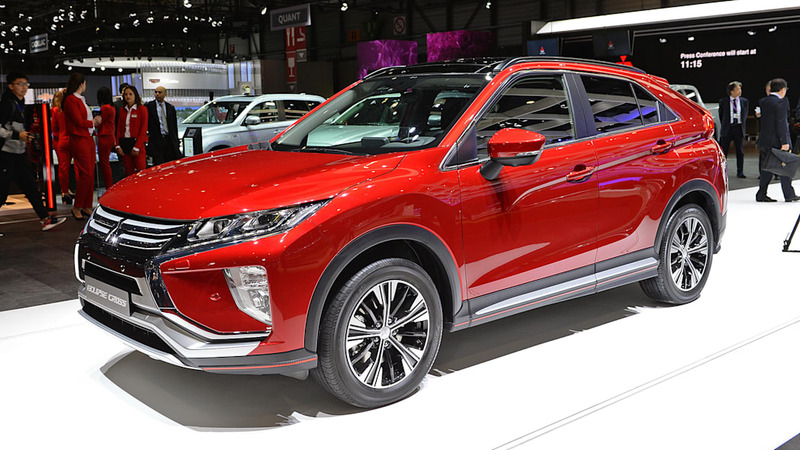 Most interesting are the aggressive cues cribbed from the XR-PHEV II Concept, like the forward-raked rear hatch, chunky rear fenders, and deep crease along the side. 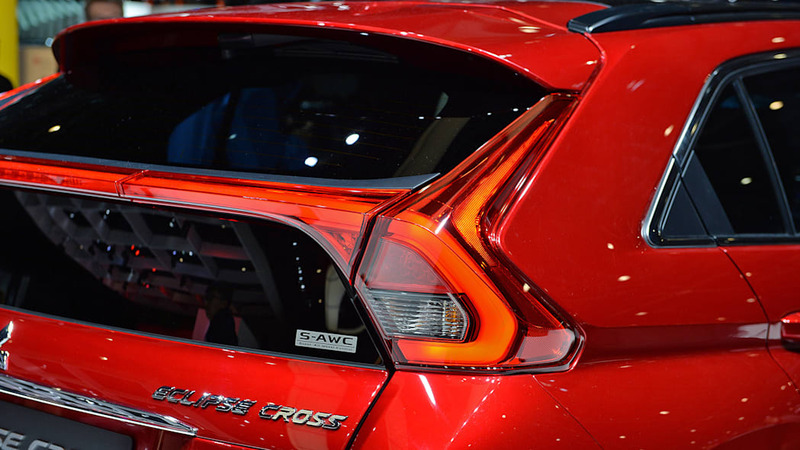 However, the shape is still clearly crossover, and the nose isn't too radical. 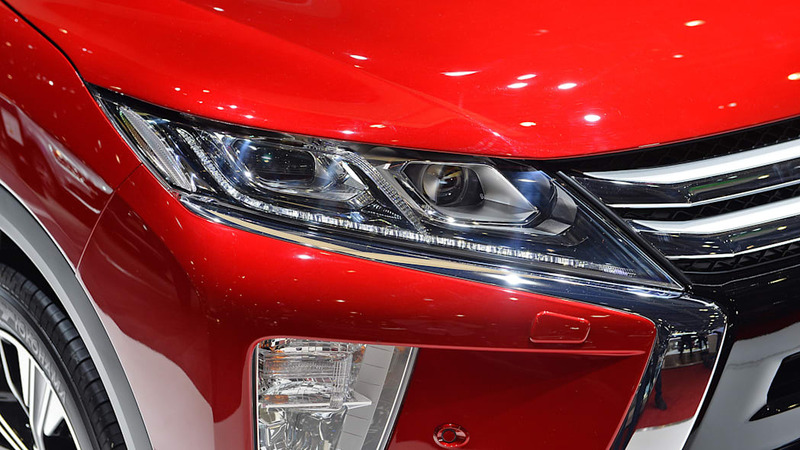 In fact, it may be the most attractive version of Mitsubishi's shield grille yet. 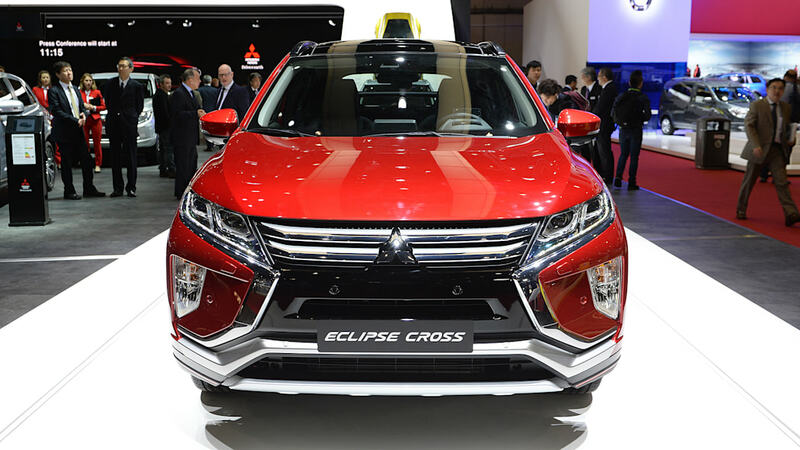 Interestingly, the Eclipse Cross is within an inch or two size-wise compared with the existing Outlander Sport, though this should change down the road when a newer, smaller Outlander Sport is introduced. The interior follows a similar theme to the exterior. The most striking aspect is the center stack, which slants downward toward the shifter and juts out over the climate control buttons. But everything is finished in simple, inoffensive black and aluminum-look trim. 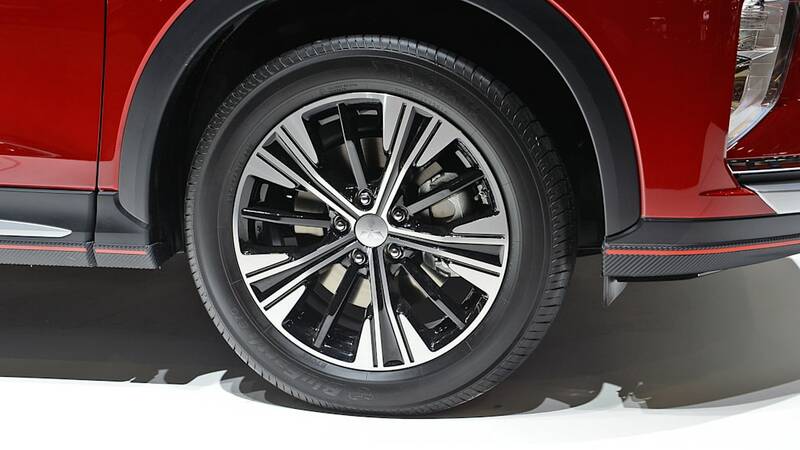 The sliding and reclining rear seats should be useful for comfort and cargo space. Next to the shifter is a touch-pad that looks extremely similar to the pad Lexus uses for its systems. A couple of our editors find the Lexus version to be rather awful, so hopefully Mitsubishi has refined and improved it. As a back-up, you can simply use the touch screen perched atop the dash, which may be more handy for using the car's default user interface, or the supported Apple CarPlay or Android Auto. Also on the dash is a pop-up heads-up display similar to that in current Mazdas. 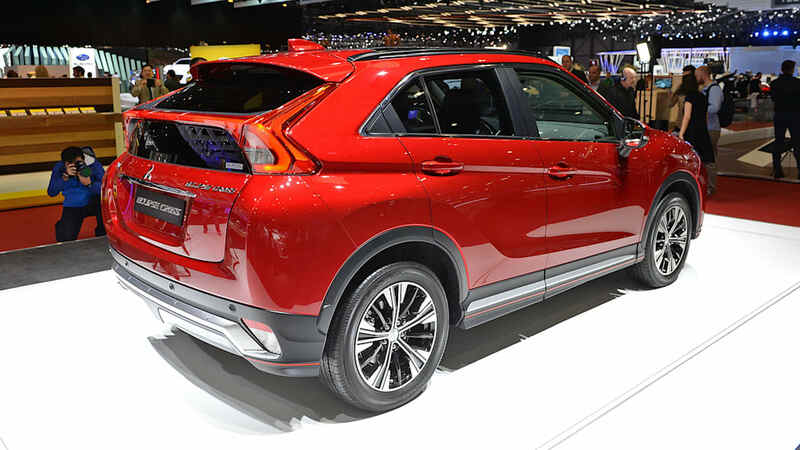 One big selling point for the Eclipse Cross is its standard all-wheel drive. There is also just one engine and one transmission. Power comes from a turbocharged 1.5-liter gasoline inline-four, and it's channeled through a CVT with 8 ratios that can be manually shifted. 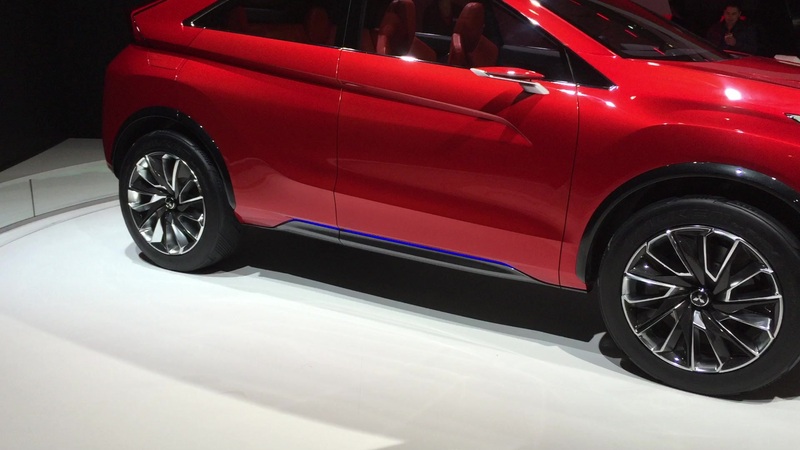 Mitsubishi has yet to announce output for the four-pot. 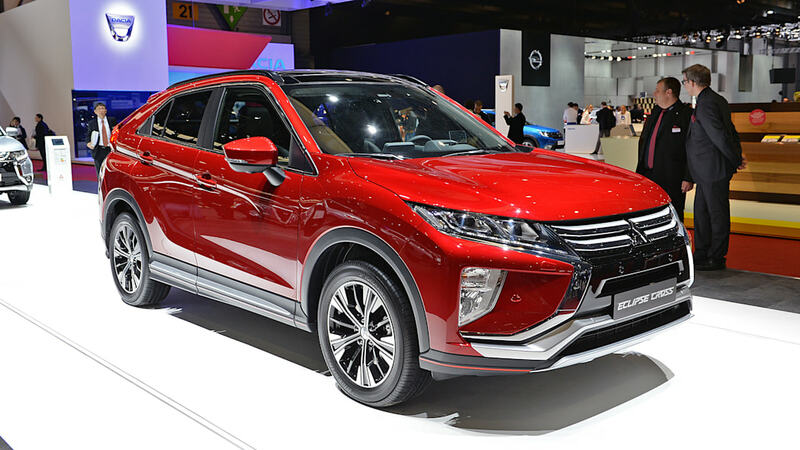 Other markets will have the option of a 2.2-liter turbocharged diesel four-cylinder with an 8-speed automatic, but it won't make the trip to the States. 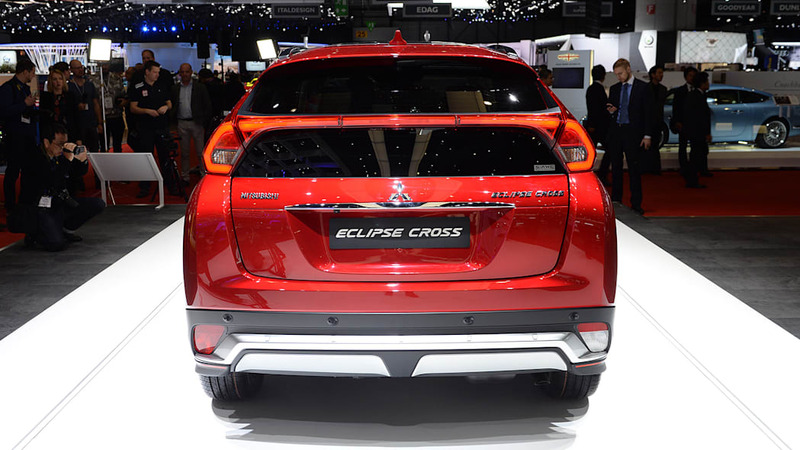 Europe will be the first to get the Eclipse Cross, where it will show up at dealers this fall. Afterward, it will arrive in other markets, including the US. So expect it to appear sometime at the end of this year, or possibly the start of next year. Pricing has not been announced yet.